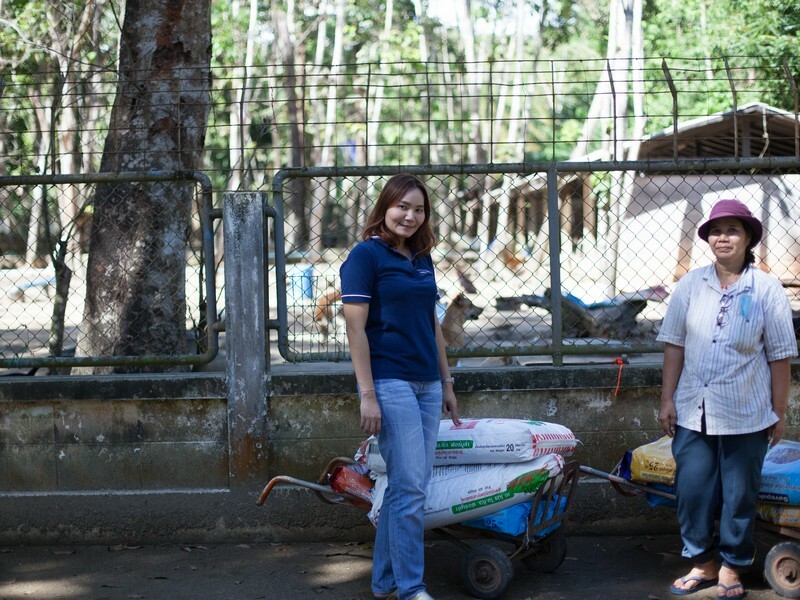 A happy Shelter worker accepts donations of dog food from Nunnaphat Thongsirisate (Ms Bee), Lee Marine International Marine Brokerage. 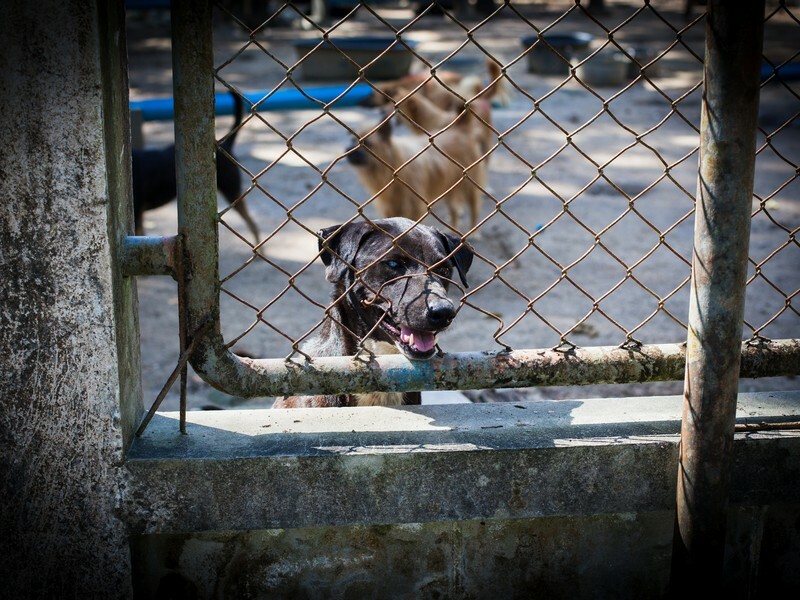 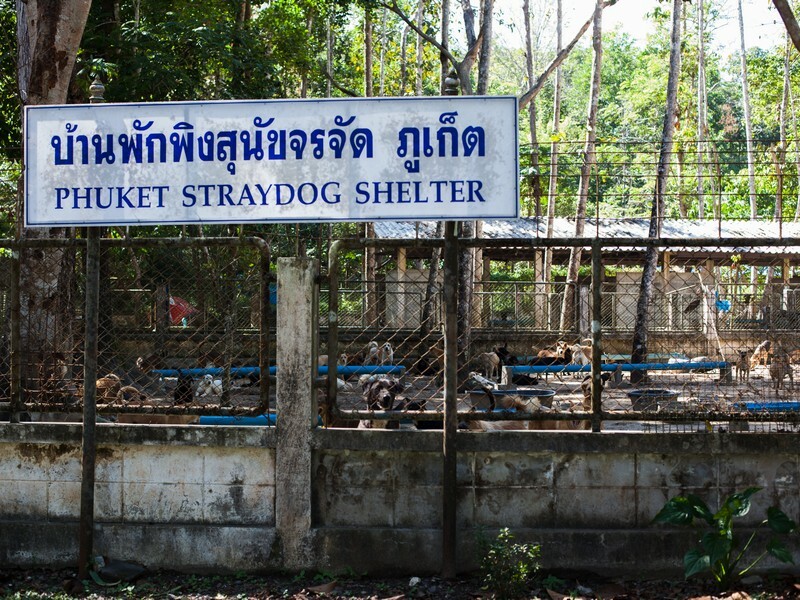 Over 400 neglected, abused and injured canines are under the care of Phuket local governments. 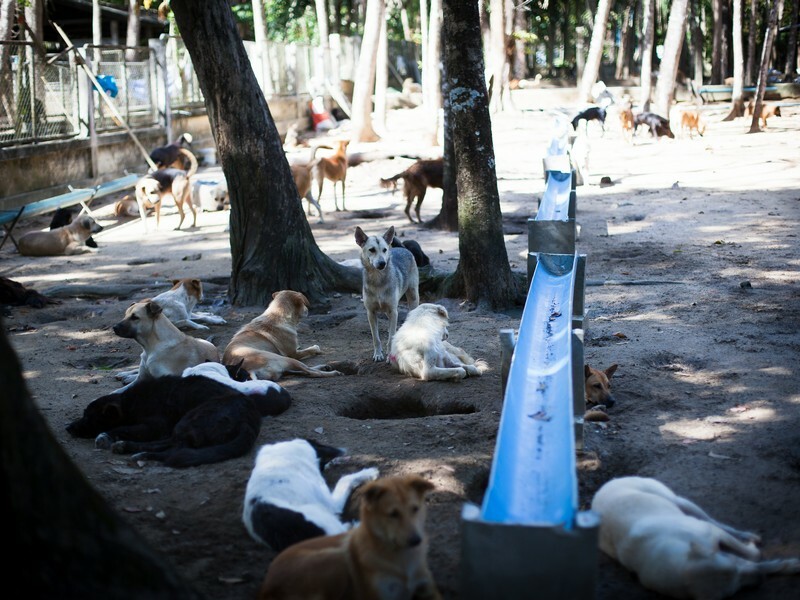 If you would like to help, too, they require cleaning fluid, Dettol, rice and food, or adopt a dog.